Knut Henrik Henriksen works with sculptures that alternate between promising models and architectural frustrations. Henriksen submits the standards, our common matrices, to observant adaptations. With references to the dominant mind-set within modernist architecture, he builds models that play with material realism on the terms and conditions of functionalism, while exposing the distance between the brilliant, utopian idea and the pragmatic solution in reality. Knut Henrik Henriksen (b. 1970 in Oslo) studied at the art academies in Bergen and Frankfurt. He has had solo exhibitions at Bergen Kunsthall in 2012 and 2014, Opelvillen in Russelsheim, Germany, Galerie Denise René in Paris, UKS in Oslo, Hollybush Gardens in London and Standard (Oslo) among others. He also participated at Momentum in 2013 and 2006 and group exhibitions at Kunsthalle Basel, South London Gallery, Museum of Fine Arts Bern, Drawing Room in London, Hamburger Bahnhof in Berlin. In addition, he has produced a number of permanent public sculptures, as «Full Circle» by Kings Cross St. Pancras Station, London. Mattias Härenstam connects morbid humour with the paradoxical powerlessness and savage energy in desire and longing. He treats the ordinary, pleasant life in the suburb as a script made for David Lynch. His own films have a similar undercurrent of turmoil and possible disaster. The sculptures form disturbing tableaux, with polished surfaces in stone and wood perforated with holes where eyes, teeth and fluid leak out. Härenstam exposes gaps where the sinister passes, where imagination takes over and the sound reasoning is letting go. Mattias Härenstam (b. 1971 in Sweden) is a graduate of Western Norway’s Art Academy in Bergen and Städelsschule, Staatliche Hochschule für Bildende Künste in Frankfurt am Main. 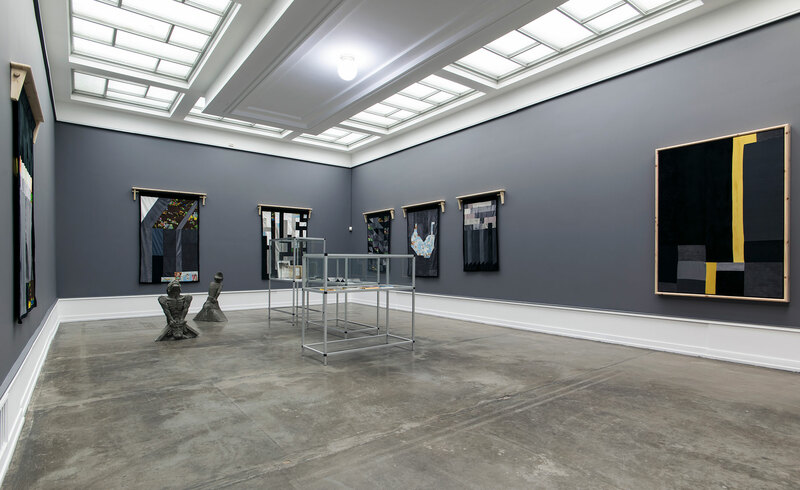 Härenstam has held numerous solo exhibitions, including places like the Vigeland Museum in 2016, Kunstnerforbundet in 2012 and Gallery UKS in 2009. In 2013, his short film Reconstruction was nominated for an Amanda, a Norwegian film award. 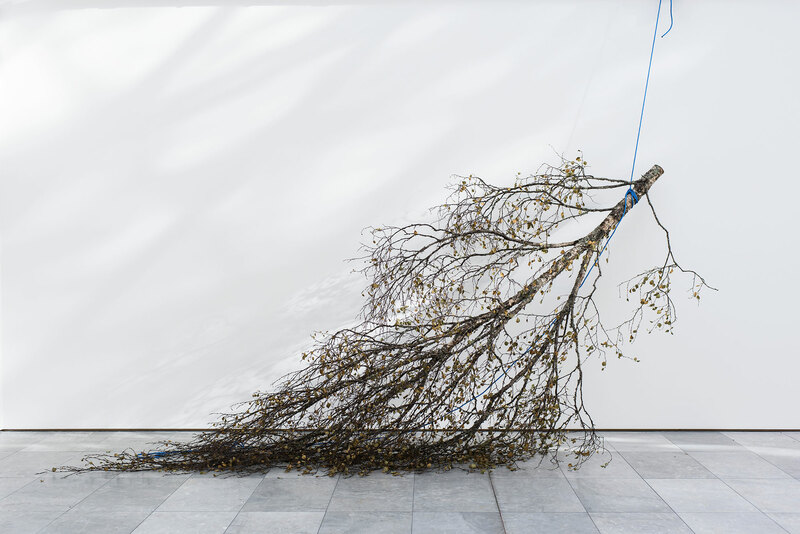 In November, Härenstam will participate at an exhibition at Stavanger Art Museum with new works. Lars Laumann assembles found material with his own subjective narratives. His installations and films break down the boundaries between documentary and fiction, between borrowed and created, and subtly distort the perception of what is factual. He is influenced by artistic expressions at the edge of the culture field, by people outside the norm, of outsiderness and the uncertain. The marginalized is found as well in his cinematic expression, which largely does not comply with what is considered good cinematic practice. Vibeke Tandberg does not settle and rest content. Her practice uses different artistic expressions, all with the same meticulous care; she’s a photographer, painter, writer, and film director. A restless testing of opportunities within the arts, a search of how the world shapes itself and how to shape the world characterize her art practice. Ideas and works are deconstructed and reconstructed. Creating becomes violence, alteration, conversion, and dissolution. Tandberg emphasizes that the subject is an unstable point of view, meaning is shifted, all the time, and artistic freedom is without expectations. Vibeke Tandberg (b. 1967 in Oslo) is a graduate from the Department of Photography at Academy in Bergen and College of Photography and Film in Gothenburg in Sweden. 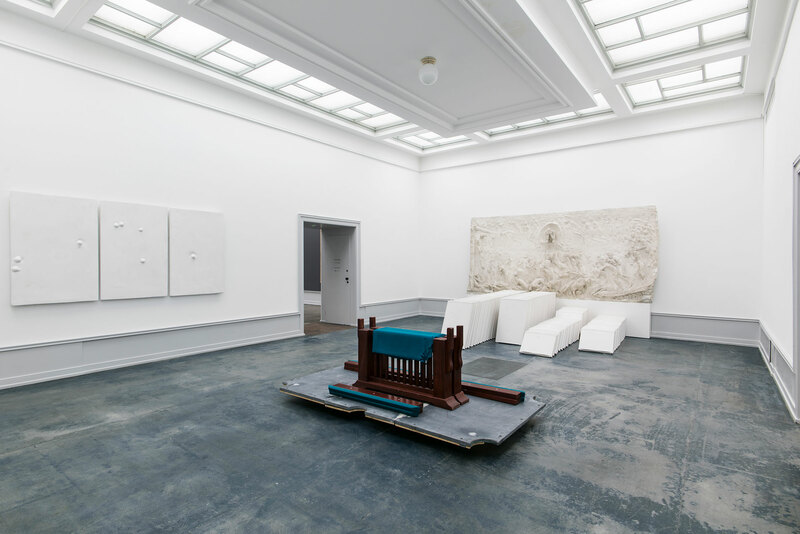 Furthermore she has held residencies at Bethanien in Berlin and ISCP in New York. She has had numerous solo exhibitions, among others at Osl Contemporary, Norrköping Art Museum, Haugar Kunstmuseum in Tønsberg, Centro per l’Arte Contemporanea in Rome, Sprengel Museum Hannover and the Astrup Fearnley Museum. Of group exhibitions we can mention the National Gallery of Art in Washington, Moderna Museet in Malmø and Stockholm, Kunsthalle Bonn, 28th Biennale in Sao Paulo and Sydney Biennale. Each of the four artists is nominated on the basis of individual, strong artistic oeuvres. The materials they are working with span a broad range, stone, wood, text, photographs, films, sound. Their shared willingness to explore the paradoxical destruction of genesis is striking. A work of art is necessarily destruction, transformation and dissolution before synthesis. Artistic practice is the willingness to erase comfortable pictures, beautiful scenarios and safe framework. It is also bruises, friction and uncertainty. Perhaps this kind of practice is what connects the four nominated artists, a practice they operate in different ways. Heidi Ballet is an independent curator based in Berlin and Brussels. She is currently curator of the 2017 edition of LIAF; Lofoten International Art Festival. In 2016 she curated Satellite series at Jeu de Paume, Paris, and CAPC, Bordeaux, which includes solo exhibitions by Edgardo Aragon, Guan Xiao, Patrick Bernier and Olive Martin and Basim Magdy and the research exhibition The Morality Reflex at CAC Vilnius. 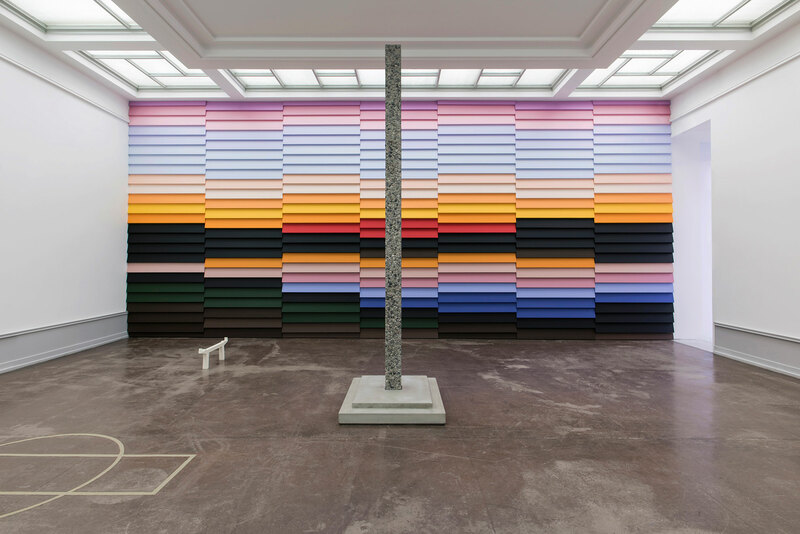 She curated the 2015 edition of Brussels Cologne Contemporaries and Let the Body be Electric, Let There be Whistleblowers, together with Anselm Franke, at Dan Gunn Gallery, Berlin (2014). Between 2013 and 2015 she worked as a research curator for the exhibition After Year Zero, presented at Haus der Kulturen der Welt, Berlin, (2013) and the Warsaw Museum of Modern Art (2015). She was the assistant curator of the 2012 Taipei Biennial Modern Monsters, Death and Life of Fiction, and from 2007 until 2011 she was part of the Brussels-based curatorial collective Komplot. Per Formo is an artist and has his education from the Conservatory of Music and the Academy of Fine Arts in Trondheim. He has a broad and extensive practice as artist and has been noted through several art projects. Formo is also represented in several major collections, including the Museum of Contemporary Art, Norwegian Cultural Council, the Rogaland Art Museum, the Kunstcollectie Rijnstate, the Netherlands, and the Trondheim Art Museum. In recent years he has held separate exhibitions at Orkdal Art Society, Orkanger, Galleri LNM, Oslo, Nord-Trøndelag County Gallery, Namsos, Trondhjems Kunstforening and Kunstnerforbundet (Artist Association), Oslo. Among other artistic projects are Linjevokabular, a book is made in collaboration with author Arild Vange (published by Beijing publisher Trondheim, October 2016), Photograms for the book Kiselsteinplan. For an invisible university of Peter Waterhouse, reprinted by Arild Vange (Beijing publisher Trondheim, published May 2015) and Undulator, a book made in collaboration with author Arild Vange (2012). Formo has taught since the early 1990s, been active as an art consultant, including as project manager for Falstad Kunst (for KORO / Art in public spaces) (www.falstadkunst.no) (2006-10), had many posts, among them chairman of Lademoen artist studios and member of Norwegian Cultural Council’s Committee on Visual Arts and Crafts (2005-09). Maria Lind is a curator, writer and educator based in Stockholm. She is the director of Tensta konsthall, Stockholm, where she has curated, among others: The New Model with Dave Hullfish Bailey, Magnus Bärtås, Ane Hjort Guttu and Hito Steyerl; Tensta Museum: Reports from New Sweden. Lind was the artistic director of the 11th Gwangju Biennale, (2016); director of the graduate program, Centre for Curatorial Studies, Bard College (2008-2010) and director of Iaspis in Stockholm (2005-2007). She has taught widely since the early 1990s, for example at the Art Academy in Munich and the Royal Institute of Art in Stockholm. Currently she is professor of artistic research at the Art Academy in Oslo. She has contributed widely to newspapers, magazines, catalogues and other publications. Among her recent co-edited publications are Contemporary Art and Its Commercial Markets: A Report on Current Conditions and Future Scenarios, Performing the Curatorial: With and Beyond Art, and Art and the F Word: Reflections on the Browning of Europe, all at Sternberg Press. She edited Abstraction as part of MIT’s and Whitechapel Gallery’s series Documents on Contemporary Art. She is the 2009 recipient of the Walter Hopps Award for Curatorial Achievement.